Our new report – “The Union Money Behind the Fast Food ‘Strikes'” – from our WorkerCenters.com project has been generating a lot of media attention over the last few days. In it, we call out the Service Employees International Union (SEIU) and its PR shop Berlin Rosen for organizing the astroturf “fight for $15” campaign, with an end-goal of unionizing restaurants. The report, published last Thursday, shows that the recent fast food “strikes” are essentially union-funded publicity stunts with little grassroots interest. The report tracks $15 million in funding from the SEIU to worker centers, and nearly $4 million from Big Labor to the PR shop running the campaigns—all since January 2013. 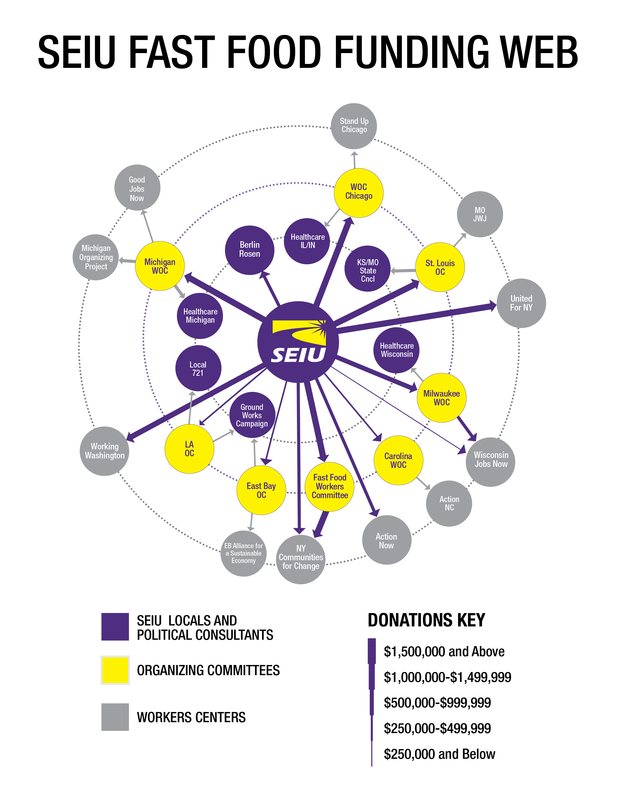 The report also shows how the SEIU has created an elaborate network of “Workers Organizing Committees” (WOCs) in an attempt hide its funding and keep itself out of the limelight. 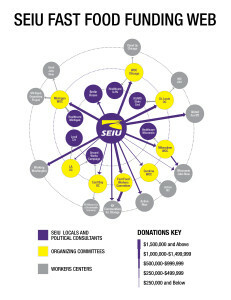 Purportedly independent, WOCs are almost entirely funded by SEIU. To take just one example, the Fast Food Workers Committee in New York reported zero members last year, took in $1.8 million from the SEIU (99 percent of its revenues) and then sent $1.6 million out the backdoor to New York Communities for Change—all while being run by an SEIU employee..